Foreign entrepreneurs who come to America to start businesses and create jobs face plenty of hurdles. The Trump administration is making things harder. Just ask Kathy Tuan. The 22-year-old senior from the University of Washington is running a company called NASTEA & Co., which sells dirty chai beverages. When she graduates next year, she may no longer be able to stay in the country to run her business. Originally from Taiwan, Tuan moved to the United States for high school when she was 15. And while other countries, including France and Canada, have special visas intended to encourage entrepreneurs, the United States does not. 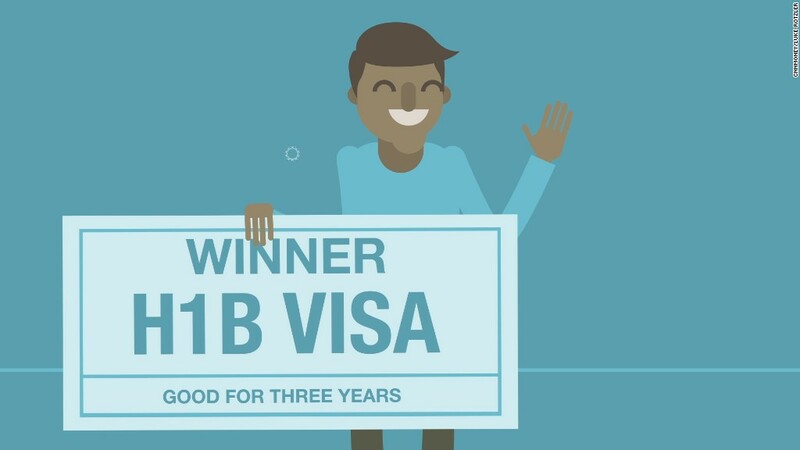 People who come to the country and start companies have to navigate a complicated web of existing visas, like the H-1B. The H-1B requires individuals to work under the control of an employer, making it difficult to launch a company. In 2017, the Obama administration instituted the International Entrepreneurs Rule as a solution. Foreigners building "fast-growing businesses" could apply for "parole status" to work in the United States. Typically, parole status is otherwise granted only to people who do humanitarian or medical relief. The rule was slated to go into effect July 17. But the Department of Homeland Security issued a memo one week prior that pushed the launch to March 14, 2018. In addition, Homeland Security said it would propose to rescind the rule entirely. The delay is being challenged by the National Venture Capital Association, which filed a lawsuit against DHS last month. At issue is whether Homeland Security needed to issue a formal "notice-and-comment" period before delaying the rule, as required by the Administrative Procedure Act. Last Friday, the venture capital group asked a federal judge to issue a preliminary injunction that the rule be implemented immediately. The judge called a hearing for October 20. A Homeland Security spokesman said the agency does not comment on pending litigation as a matter of policy. "However, lack of comment should not be construed as agreement or stipulation with any of the allegations," the spokesman said in a statement. The move by the Trump administration left entrepreneurs feeling blindsided. "Our immediate reaction was: What is our backup plan?" said Tuan. Tuan will be able to stay in the U.S. until June 2019 under an extension of her student visa known as an OPT. But her co-founder, Minnie Yuan, is facing a more urgent situation. Her OPT expires in June 2018. The two launched NASTEA in April as a class project. Within two months, they sold 700 bottles at $5 each, Tuan said. Their tea -- "white coffee dirty chai" -- is now available in four stores and sold online in six packs. The drink is made at their commercial kitchen space in west Seattle. They are expected to launch more flavors in the coming weeks. 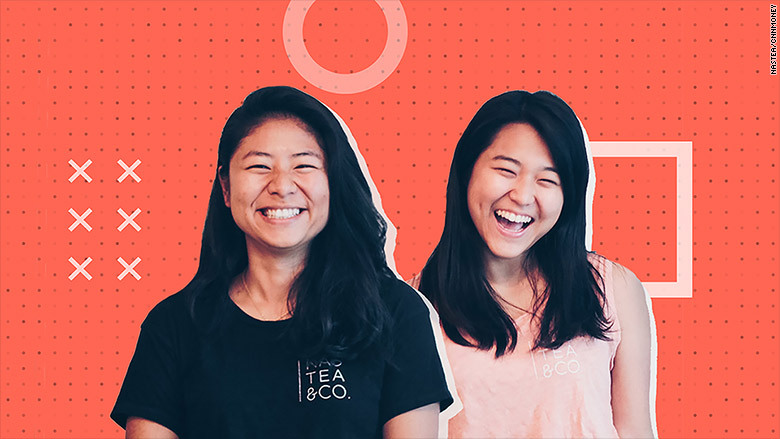 Kathy Tuan (left) and Minnie Yuan, two of NASTEA & Co.'s four cofounders. Yuan has decided to apply to business school to buy more time on a student visa. Tuan is also exploring the business school path to have an option when she graduates. "It wasn't until we had to deal with the problem that I realized there's no policy or program designed for foreign entrepreneurs," said Tuan. "We are not the only company affected by this." One of those companies is Humbot.io, whose co-founder, Can Olcer, is also in limbo. Olcer moved to San Francisco with his co-founder and girlfriend in July from Zurich and head up an AI platform for answering science-related questions. Olcer read about the International Entrepreneur Rule and was hoping to apply for it. Currently on a business visa, he's required to leave the country and re-enter every six months. "Why should Trump not keep this? It seemed like a no-brainer," Olcer said. The Obama administration had expected about 2,940 applications annually under the entrepreneur rule. "This rule was really the only game in town that could provide relief that is so badly needed to the entrepreneur ecosystem," said Bobby Franklin, president and CEO of the venture capital association. Melissa Crow, litigation director at the American Immigration Council and co-counsel on the association's lawsuit, said the group is aiming to get the rule implemented immediately. "We want to see it go forward -- it's going to create jobs, bolster our economy, and create a lot of money," she said. "It's still [DHS's] decision who gets parole under this rule [but] it fills a gap in our immigration system."